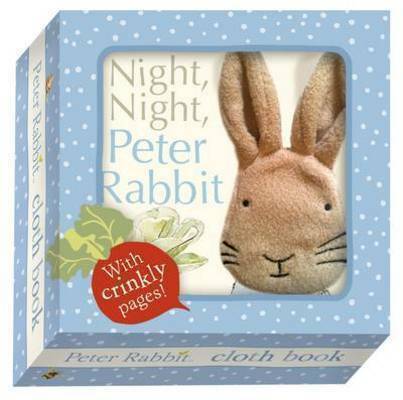 Night Night Peter Rabbit is the softest cosiest bedtime treat for sleepy babies. This delightful cloth book, based on some of Beatrix Potter's best-loved characters, includes two enticingly rustly pages that are sure to hold the attention of every wriggly baby! Get ready to CRUNCH some lettuce with Benjamin Bunny and RUSTLE through the leaves with Squirrel Nutkin. Other characters to meet include Peter Rabbit, Jemima Puddle-Duck, Tom Kitten, Mrs Tittlemouse and a sleepy Flopsy Bunny! Beatrix Potter's world-renowned classic artwork style, the softest fabric and a very smart presentation box all add up to the perfect gift for a new baby.